While this is a convertible (analog climate control) it is exactly the same layout in the coupe. Below the climate control is the cigarette lighter and small closed compartment. Below that is the first open din where the music deck (CD player/tape deck) is set. Below that, in the lower din, is an open compartment. 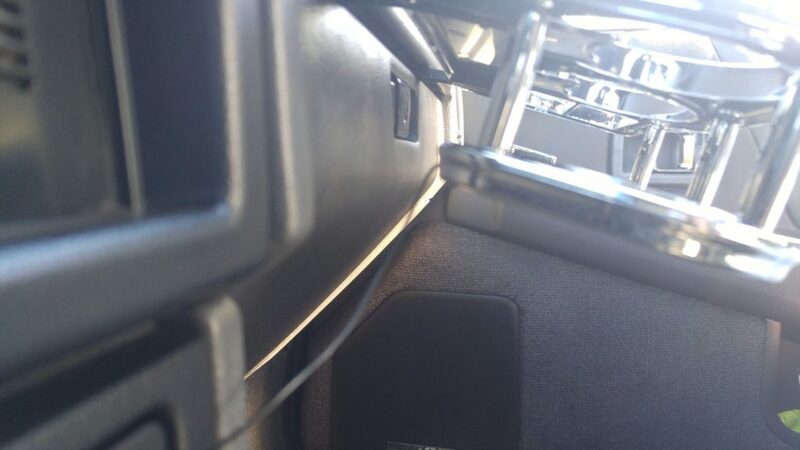 Behind the small compartment next to the cigarette lighter is a support that compartment. So I don’t think many people have modified that portion of the dash. The true “din” locations are where you see the radio and the open compartment. Once you take off the bezel, and 4 bolts, you can pull out the bracket that holds those pieces. 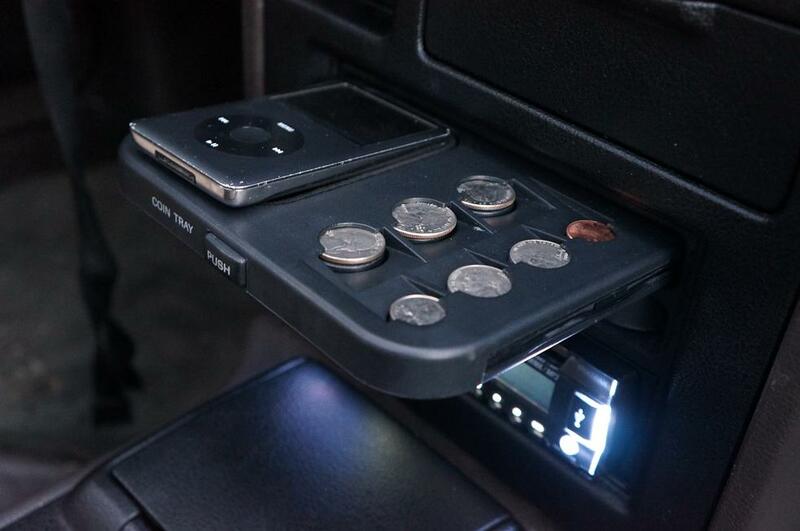 One of these spots is ideal for an OEM fold out or pull out cup holder. Most people will keep the radio in this position as well. Additionally, the lower open compartment is useless IMO. (sorry, anything I put in there ends up flying out once I start driving). 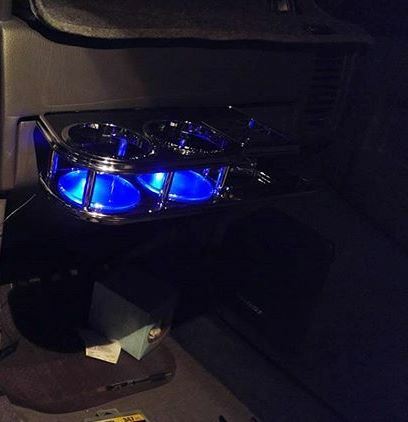 Depending on shifter, cd and/or cup holder (platform/ hang down) clearance, these 2 dins can be rearranged. This will cover single din options. First off, easiest option for people is to use the small compartment near the arm rest as a cup holder! It doesn’t affect the center dash components. My old black M30 and current light blue M30, I went straight for the tried and true budget option: The Daiso Special. This is a universal option. 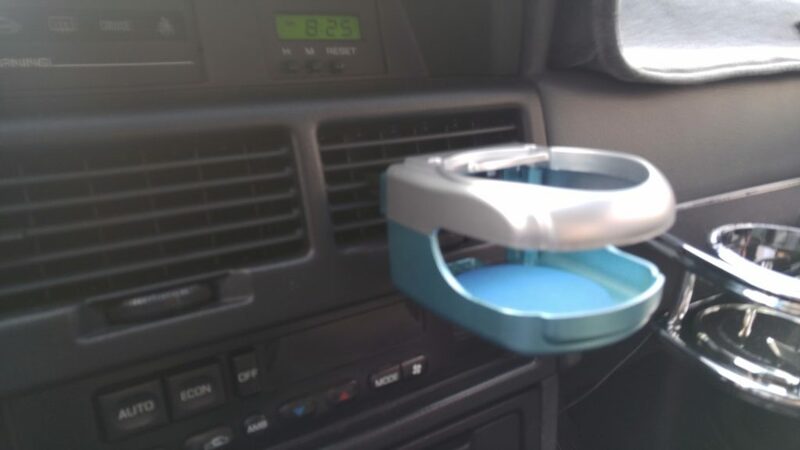 It is a cup holder mounted on the a/c vents. Adjustable too. It is pretty stable and as I stated above, it doesn’t affect anything. There are various designs, but the simplicity and functionality of it is there. There are also some name brands out there such as Type R or Hyper Sonic. 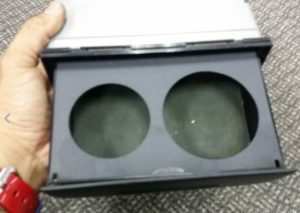 There are small VIP tray/cup holders out there as well that attach to AC vents. 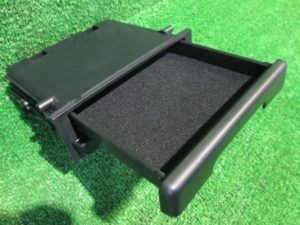 You can also get universal glove box dependant VIP tray. I picked one up in Japan for $30. While not perfect, it has to be modified to be stable. These are great in a sense they can hold bigger diameter drinks and also have a slot for cigarettes. Here is the particular one I bought. Again, this was a cheapo, Super Autobacs special. There are more refined, high quality trays of various designs available as well. 2 cup holders (wider diameter) with 2 rectangle slots for cigarette packs, but not enough width for today’s cell phones (which are bigger). Additionally, a 12v cigarette lighter plug in giving off Blue LED lights. 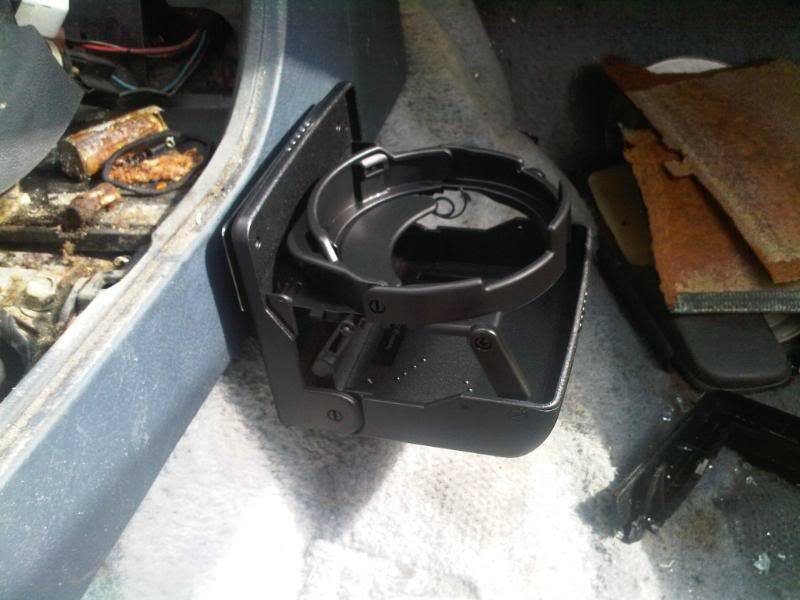 The bracket attaches to on tray and “hooks” into the glove box. It is adjustable to an extent. I adjusted it to the end, but it still has play that the bracket have space and the tray can be pulled forward. 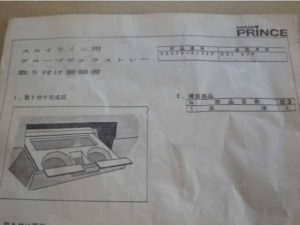 Also, there is no lower support, so anything heavy could weigh down the tray and it could be come slanted. Modifying the brackets and finding a support for the bottom could make it stable. In all honesty though, it looks nice and functionally sound if stable. 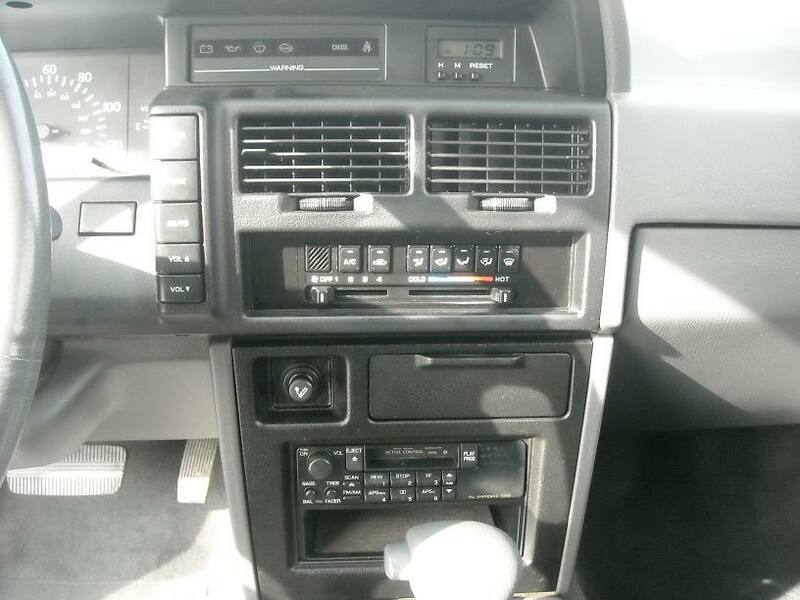 Another option is the 91-94 Nissan Maxima (J30) “pocket deck”. 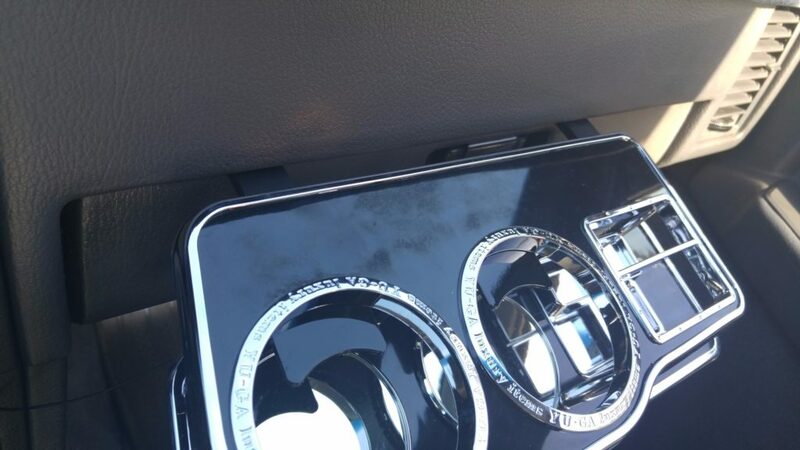 A few months back, Mark J used a J30 Maxima cup holder/tray and installed it in his M30. Mark J provided the information, installed and tested it. 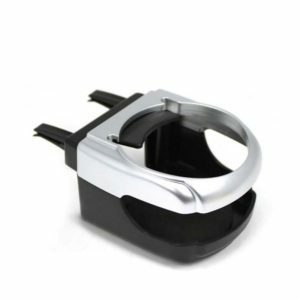 Since this is a platform type, you pull out the compartment and then the cup holder itself. It was something I liked and so I picked up 2 at my local junkyard. 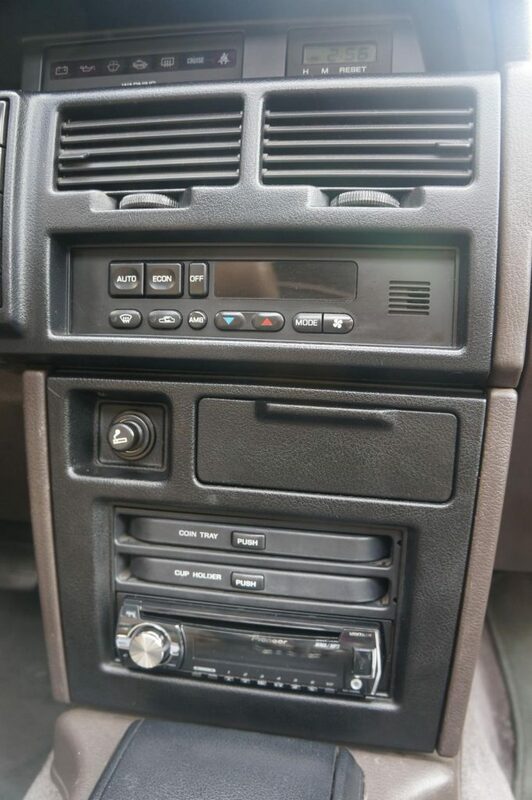 Looking at the picture, the CD player and ash tray below are obstructed. 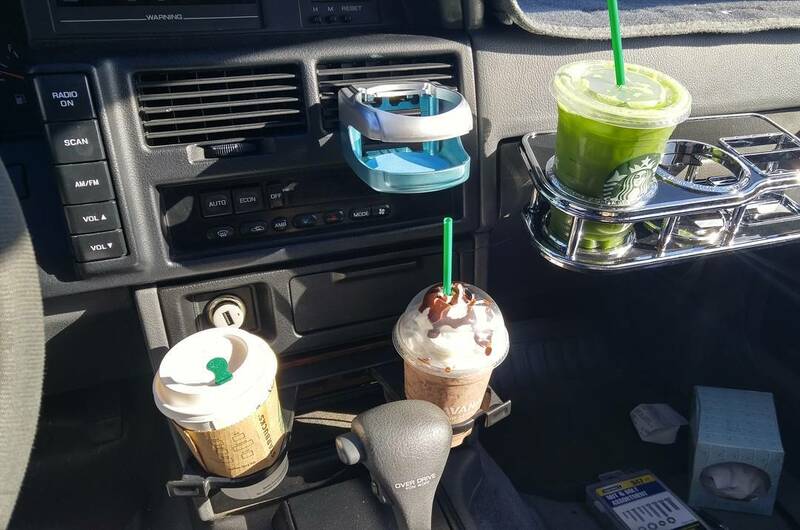 But these are petty details compared to having a functional cup holder. Here is the youtube video to showing it in action. 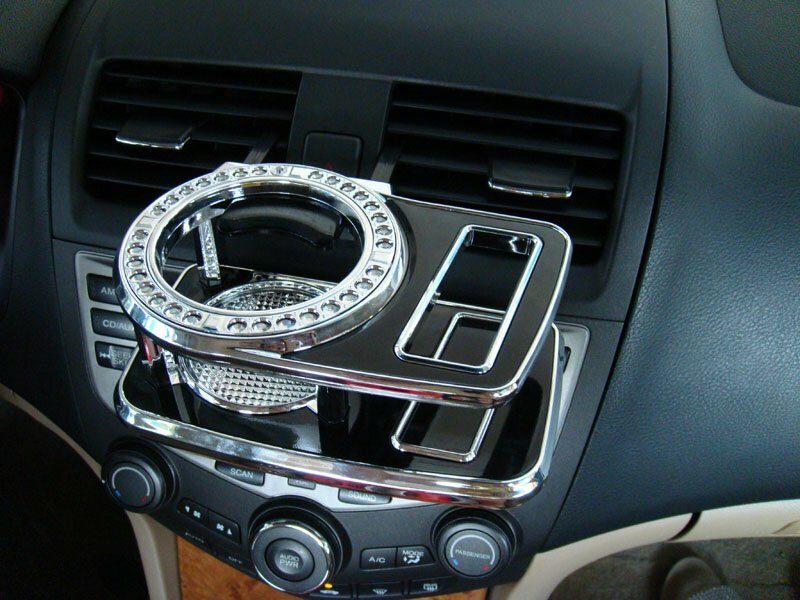 After looking at the parts number and cup holder diameters, this is the same set up as the A31 Cefiro. 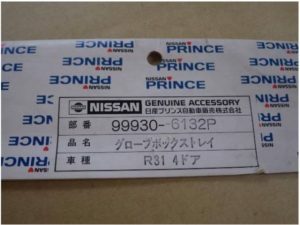 A few years back, hachiboy was doing tons of research of American parts that could fit into the 80/90’s Japanese cars. 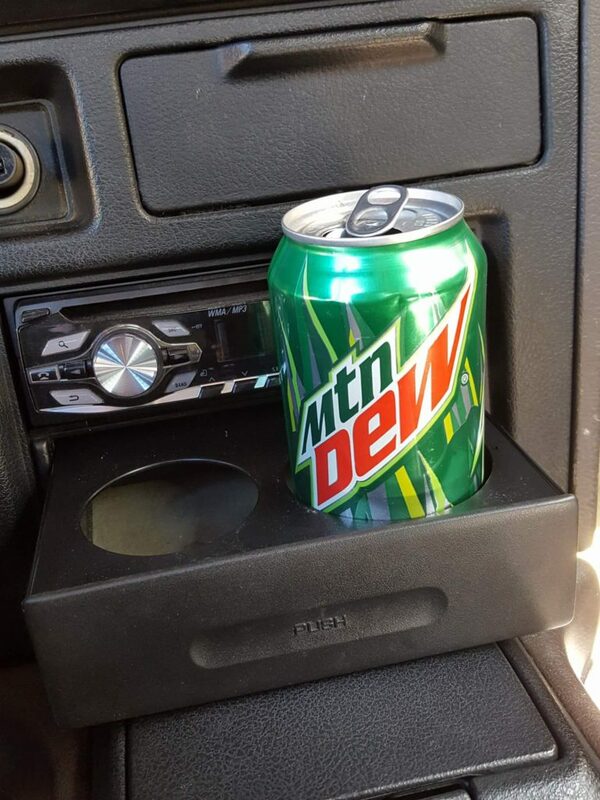 He put this in his M30. This function I LOVE!!! 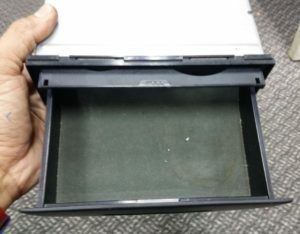 coin tray! 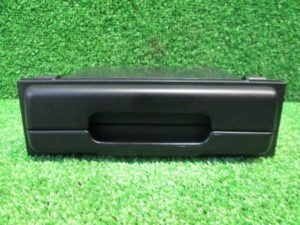 Bottom pulls out to be drink holder. I had to ask questions. This is Kuze-san’s Leopard. 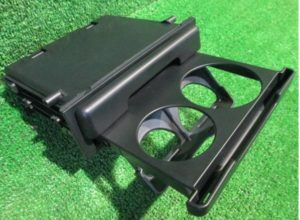 I found out it was the Nissan Stagea cup holders. 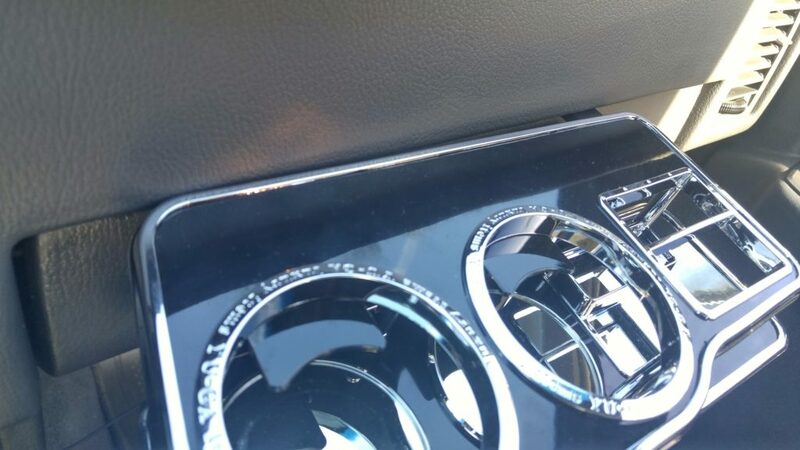 It’s intriguing to me because of the angle of the cup holders coming out. So it would kind of make clearance for the shifter (as seen above). I wanted this option and waited til I was in Japan. (Satoshi had gotten me one). Time to test them out. 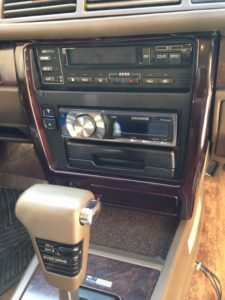 After installing the Stagea cup holders and stabilizing the VIP tray. I did a Starbucks run because we had some friends over. As I said, I know the Daiso special will hold up. Since I had a larger cup for my Green Team Frapp, it didn’t fit in the Daiso or Stagea cup holders. So the larger diameter came in handy. 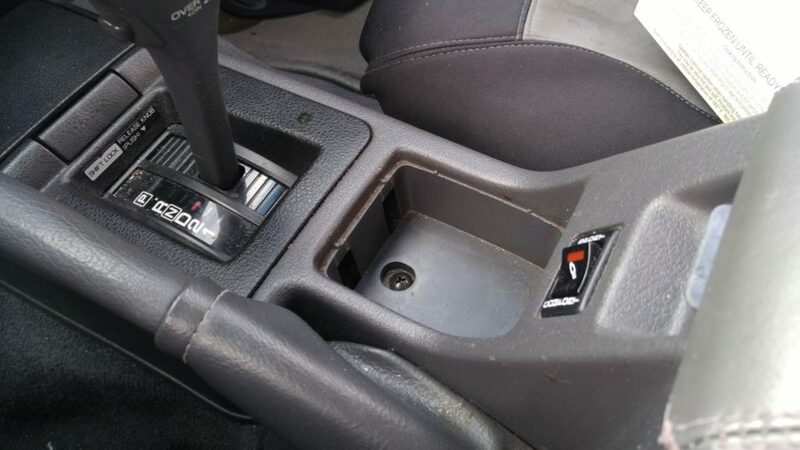 I guess the trust for the Stagea cup holders has to be earned. It feels like they wouldn’t hold up, but they actually do and are stable. Even on speeding up and turns, the drinks were stable. 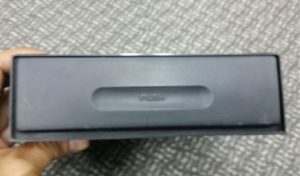 Top portion is compartment, but might not hold bigger items. A31 Cefiro – It is exactly like J30 Maxima in the states. I do like that the compartment is “deeper” and probably can hold more than the one above. 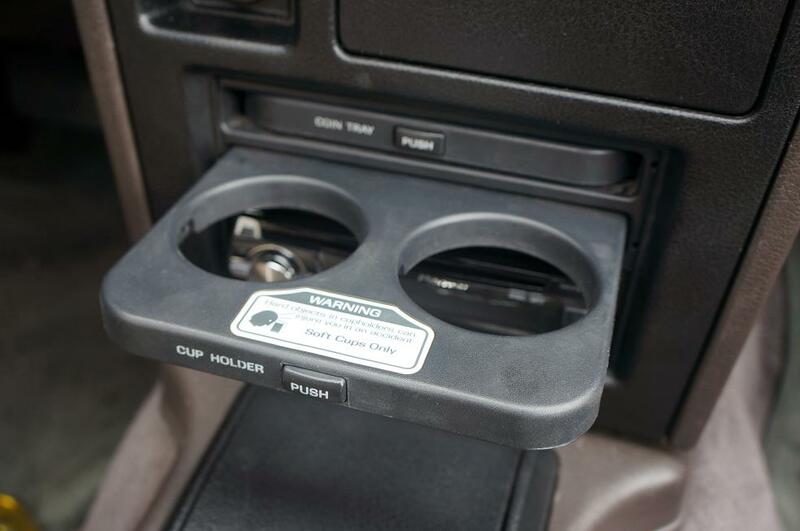 Another option I’ve seen is a fold up cup holder originally for the ac vents, but mounted on the side of the center console. 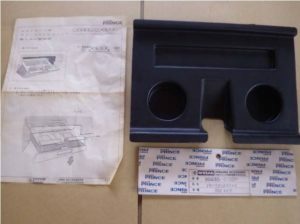 R31 SKYLINE glove box tray. This popped up on YAJ and from what I seen from Skyline and Leopard friends, they have never seen it! It is a rare piece. 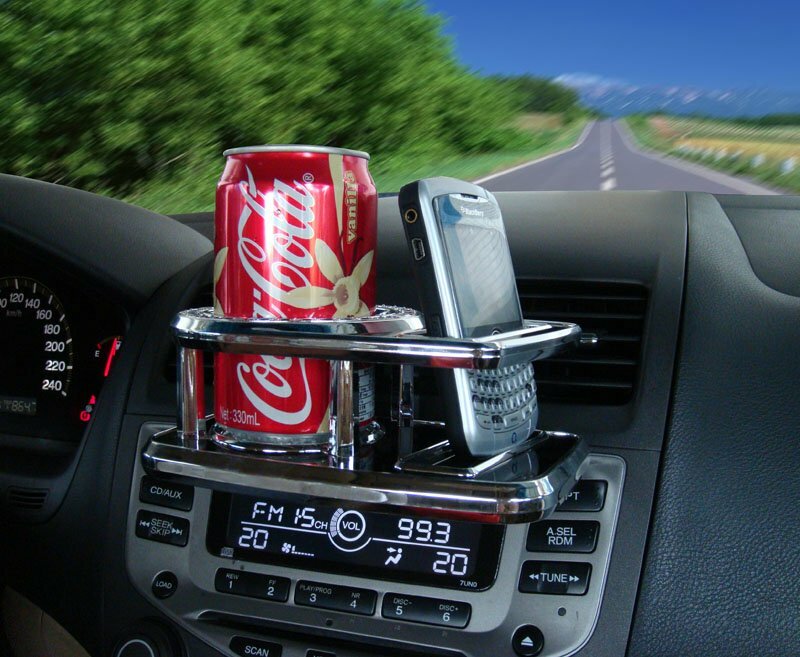 These were some of the ideas of cup holders I have come across. I’m sure there are a few others and maybe even custom pieces out there. If they are submitted, I’ll update. 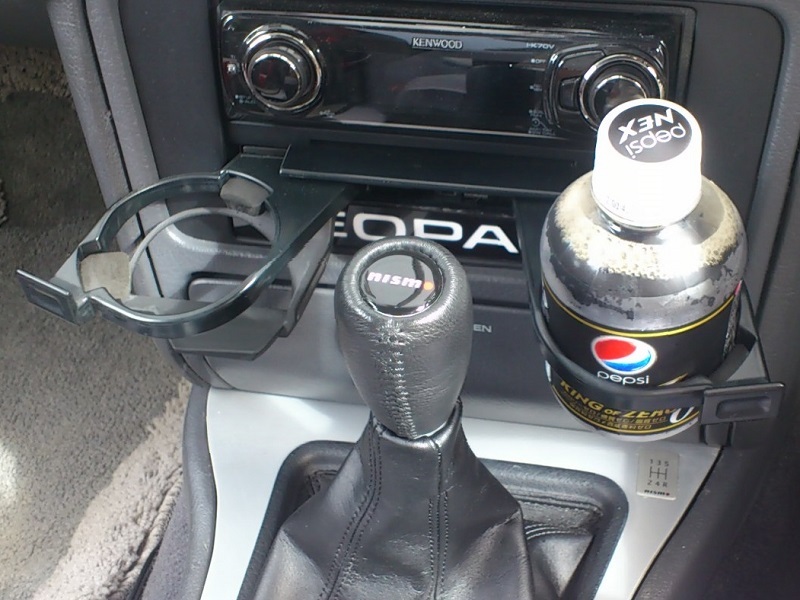 This entry was posted in blog, parts and tagged #f31club, cup holder.